According to experts, the recent rally indicated that the market may have priced in all positives and valuations looked elevated, and as more than half of earnings season is done, slowly the focus will shift back to global cues. Benchmark indices continued to consolidate on Thursday after a 400-point rally on the Nifty in July. 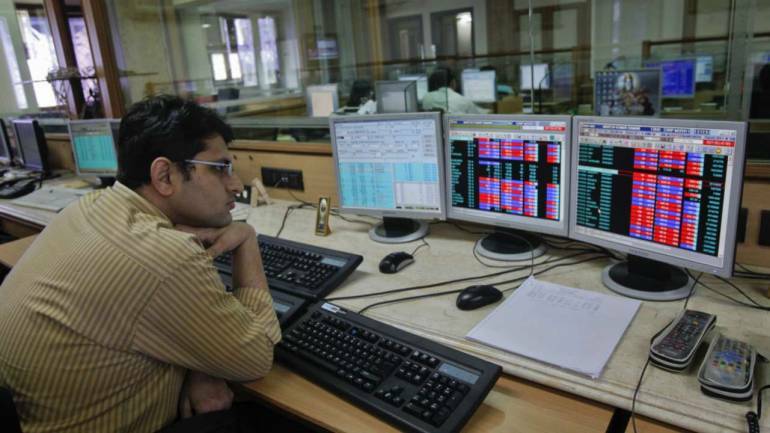 The Sensex closed 356.46 points lower at 37,165.16 and the Nifty fell 101.50 points to end at 11,244.70. In fact, in July, the market gained around 6 percent after India Inc reported in line or slightly better-than-expected June quarter earnings. So the correction is warranted as the market can't go in one direction, and it has to consolidate a bit before moving in either direction, experts said, adding this could just be a phase of profit booking or break as they don't see any major negative in the near term that can spoil the party. According to them, the recent rally indicated that the market may have priced in all positives and valuations looked elevated, and as more than half of earnings season is done, slowly the focus will shift back to global cues. "Market is heading higher with minor gains on a weekly basis, led by good Q1 results, but at the same time market is also concerned about the risk-off trend in the domestic & global market," Vinod Nair of Geojit Financial Services told Moneycontrol. This trend can continue in the near-term as risk taking ability has reduced led by increase in cost of funds, premium valuation and lack of earnings growth compared to high expectations, he said. Cautious Harsha Upadhyaya of Kotak MF expects the market to consolidate for next couple of quarters and does not expect large returns during that period. Asian markets corrected sharply after renewed concerns related to trade war between world's largest economies US and China. Media report suggested that the Trump administration on Wednesday announced it is looking at the possibility of slapping a 25 percent tariff on $200 billion worth of imported Chinese goods — from the initial 10 percent announced earlier. Federal Reserve left interest rate unchanged after its two-day meeting, but upgraded its outlook on the economy to strong, which hinted that there could rate hike in September policy meeting. The correction after Monetary Policy Committee (MPC) indicated that the market may be waiting this event to happen as it has already priced in positives related June quarter earnings season which are in line or slightly better-than-expected. In more than couple of weeks, all sectoral indices traded in the green with PSU Bank gaining the most at nearly 19 percent followed by Energy, Pharma, Metal, Infra and Realty sectors. The Monetary Policy Committee on Wednesday hiked repo rate, at which the lenders borrow money from RBI, by 25 basis points for the second time in a row to 6.50 percent with neutral stance but raised inflationary concerns while maintaining FY19 GDP growth projection at 7.4 percent. The MPC concluded three-day policy meeting with raising inflationary concerns after which experts said that itself pointed for more rate hike going ahead. The major reason is higher oil prices. The RBI raised its inflation estimates to 4.8 percent from 4.7 percent for the second half of FY19 and introduced 5 percent inflation rate for first quarter of FY20 while listing many uncertainties and its impact on the inflation like the effect of MSP on farm produce, volatility in global financial markets, staggering impact of HRA revision by State governments and which all will be tracked very closely. The early announcement of inflation projection for the next financial year indicated that there could be more risk to its the medium-term target for consumer price index (CPI) inflation of 4 percent within a band of +/- 2 percent, though the RBI has a Neutral stance with intention of keeping itself ahead of the curve. The Monetary Policy Committee noted that domestic economic activity has continued to sustain momentum and the output gap has virtually closed, but uncertainty around domestic inflation needs to be carefully monitored in the coming months. "In addition, recent global developments raise some concerns. Rising trade protectionism poses a grave risk to near-term and long-term global growth prospects by adversely impacting investment, disrupting global supply chains and hampering productivity. Geopolitical tensions and elevated oil prices continue to be the other sources of risk to global growth," it reasoned. Majority of experts feel there could be at least one more rate hike in the offing which could happen in any of the policy meeting in FY19. "We are away from 4 percent inflation target for some time now," the RBI governor said. "This in itself indicates an inflationary trend and we could be in for some surprises on the upside in repo rates," Raj Mehta, Fund Manager, PPFAS Mutual Fund said. He further said the direction and the trend of interest rates will remain upwards in the near future through the quantum and the frequency of rate hikes remain uncertain. "We think RBI's statement seems more hawkish than its stance on inflation and inflationary risks." June quarter earnings season kicked off by IT companies on a strong note and remained stable till now. Majority of earnings are either in line or slightly better-than-expected, which is why the market registered around 6 percent rally in July and hit a record high of 11,390.55 on the Nifty. Banks indicated that NPA cycle seems to have bottomed out and by second half of FY19 onwards earnings may start looking better, experts said, adding consumption related earnings also remained strong while the only disappointment was auto among others. Harsha Upadhyaya of Kotak MF said overall earnings are more or less in line or slightly better than expectations. "Market is quite elevated in terms of valuations now." The Nifty50 after recent rally formed 'Hanging Man' kind of pattern for two consecutive sessions followed by consolidation on Wednesday, which already hinted that there would correction on cards. A Hanging Man is a bearish reversal candlestick pattern which is usually formed at the end of an uptrend or at the top (400-point rally from its recent low of 10,957.10 recorded on July 19). In a perfect 'Hanging Man' pattern either there will be a small upper shadow or no upper shadow at all, a small body and long lower shadow. And it proved that as the Nifty has broken psychological 11,300-mark today but as technical experts advise, traders may be buying that fall which is why frontline indices have not seen major profit booking. "Muted response of bears to the RBI event is suggesting that there may not be a bigger correction going forward but market may consolidate to adjust the readings on technical oscillators which are in extremely overbought zones as market has relentlessly rallied for the last 9 sessions," Mazhar Mohammad, Chief Strategist – Technical Research & Trading Advisory, Chartviewindia.in told Moneycontrol. Once this corrective and consolidation phase gets over Nifty50 can be expected to resume its upmove with initial targets placed around 11,450 levels but beyond that a bigger swing can be expected only on a fresh breakout above 11,500 kind of levels, he said. According to him, on the downsides initial support can be expected around 11,267 levels breach of which may drag down the indices further towards the bullish gap zone of 11,210–11,185 levels registered on July 27. "As trends across the time frames are strong any such fall shall be considered only as an opportunity to create fresh longs." Chandan Taparia, Associate Vice President | Analyst-Derivatives, Motilal Oswal Securities said now the index has to continue to hold above 11,300 zones to extend its move towards 11,400-11,435 zones while on the downside major support is seen at 11,250 then 11,171 zones.